QUESTION TIME | A major bombshell of the latest national budget is that the government will receive a special one-off dividend of RM30 billion from national oil corporation Petronas, in 2019, on top of the usual RM24 billion, to make a total of RM54 billion. It saves the government in several ways, as we shall see. That RM54 billion is massive and unprecedented. That extra RM30 billion one-off payment more than exceeds the RM22 billion yearly shortfall caused by the abolition of the goods and services tax (GST) in favour of the sales and service tax (SST), giving a surplus of RM8 billion. It also brings down the budget deficit to more manageable levels. But what is the purpose of the RM30 billion? Finance Minister Lim Guan Eng in his budget speech last Friday said it will be utilised to repay GST and income tax refunds. 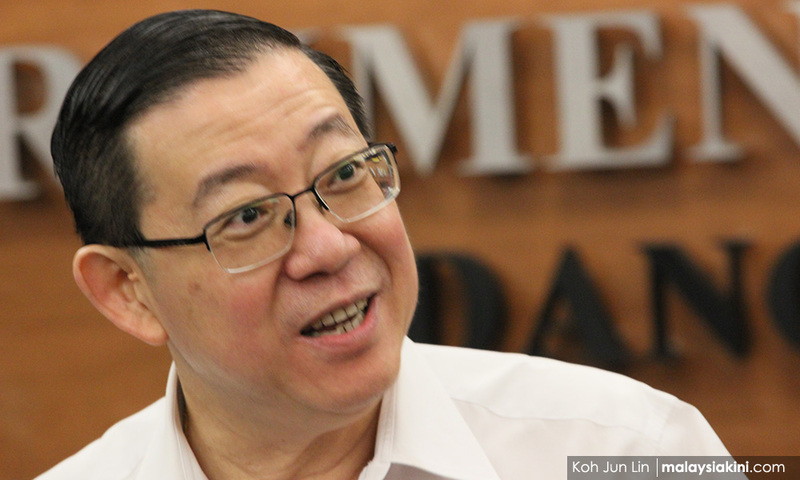 In his budget speech earlier, Lim had said: “Further, the Accountant-General of Malaysia has confirmed the statements by both the Royal Malaysian Customs and the Inland Revenue Board that the Government revenues have been overstated for the past few years, by not paying back the GST and Income Tax refunds. “As at 31 May 2018, the total tax refunds owing amounted to RM35.4 billion, made up of GST refunds of RM19.4 billion and income tax refunds of RM16 billion. These refunds belong to the taxpayers and were misused without their permission or knowledge. But there is a lack of clarity over how this arises. Let’s take the GST first. Lim (photo) has alleged robbery here but so far there has been no proof and no charges made against anyone. As I explained in this column, there is much that needs to be explained, including how such a sum came about. It is possible that the previous government was paying this out progressively from GST refunds but as a result of GST being abolished, with effect from June 1, the revenue was not forthcoming anymore. Also, there was a tax holiday between June and end-August when there was no GST or SST, which would have crimped government revenues even more by as much as RM12.5 billion. This may not have been completely anticipated by the new finance minister in his haste to get rid of GST. If he had, he could have delayed the abolition of the GST until there was enough money for the refunds to be made - less than a year. The convenient thing to do then is to blame the previous government. As for the RM16 billion refund of income tax, tax experts tell me that there are two parts to this. One is an overpayment of tax because of scheduled deductions based on the previous year’s tax. These are usually straightforward, but even then the Inland Revenue Department (IRD) has to investigate each and every case before making the refunds. The other involves tax evasion, where there may be competing claims between those who pay taxes and the IRD over various tax assessments. These may take time to complete and to resolve the competing claims. It is not clear if these claims will all materialise. Again Lim has used harsh language here as well, calling it misappropriation, which often means theft as well in the ordinary meaning of the word. Both the Malaysian Anti-Corruption Commission and the parliamentary Public Accounts Committee are investigating to determine whether Lim’s allegations are accurate and correct. It will certainly help if the Finance Ministry clarifies the points raised, among which is whether it was the previous practice to pay these refunds from ongoing tax collections and whether there was indeed robbery. If funds are diverted to other areas of expenditure, then no robbery is involved, although it indicates poor financial management. Government figures of an expenditure of RM316.6 billion and revenue of RM261.8 billion indicate a budget deficit in 2019 of RM54.8 billion, which is about 3.6 percent of the GDP (gross domestic product - the sum of goods and services produced in the economy) of RM1.53 trillion at current prices. If not for Petronas’ special dividend of RM30 billion, the deficit would have been that much higher at RM84.8 billion, raising the deficit to a high 5.5 percent of the GDP when the target is to balance the budget by having a zero deficit. Petronas has saved the day for the new government! Hopefully, there will be no need for a future special dividend from Petronas - this is not difficult if finances are managed well from now on. Then the surplus funds from Petronas can be put into a true sovereign wealth fund so that future generations of Malaysians can benefit too from the depleting reserves of oil and gas in the country. It will also mean that Petronas will have less money for investing in risky overseas projects - which is a good thing, really. 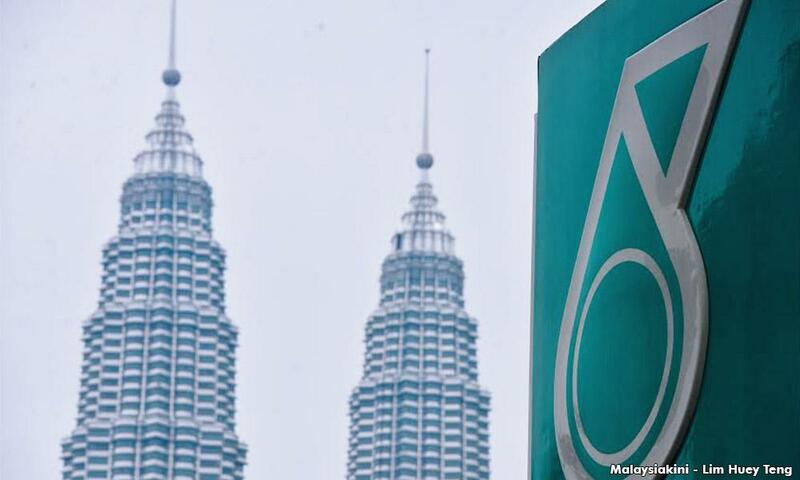 After all, most of Petronas’ profits are derived from Malaysia, and they have made substantial losses overseas previously, which are not broken down in its accounts.